You may also run a network of corporations. For example, since I live in Chicago, I’m use to seeing large restaurant management companies that have dozens of different restaurants on their portfolios. This is the same with golf course and apartment management companies. What’s the Corporate Store Plan’s Pricing? is it like att store? The Corporate Plan runs at $237 per month billed on annual basis, which comes out to a great deal if you’re using it for lots of apps. If you’re only making five or ten apps, some of the lower priced plans would work for you, but this one is for the serious businesses that use these mobile apps to bring in a considerable amount of money. Therefore, the corporate user management area gives you full control of who can manage and edit apps from the backend of your iBuildApp platform. 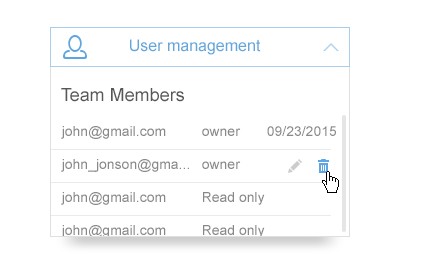 What’s great is that the people on your team no longer have to share passwords with each other, since separate passwords are generated for each and every user. 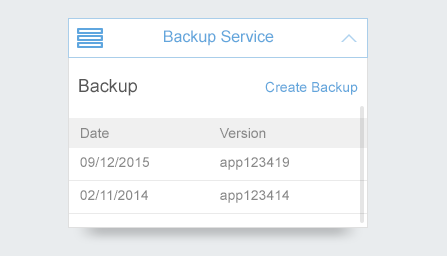 A large list of your backup files is generated on the backend. So you can go into the system and locate the right date and version of your app without any problems. It’s also nice because you can include a description of a certain backup to make it easier for your own reference. We enjoy the backup feature for those who may feel as if they dislike changes made, so they’d like to go back to a previous version. Yup. There’s no joking around here. You can make 10,000 apps or 10 apps. It doesn’t matter. Some of the apps you generate can be demos, while some can be fully functional. You may want to make promotional or event apps that you never use again. That’s the glory of the Corporate Plan at iBuildApp that is similar to att corporate store. What’s cool is that each of the apps you make are completely white label, and you add Add-On – iBuilApp Enterprise corporate app store to avoid publishing your apps on AppStore or Google Play. In addition, an unlimited amount of push and GPS notifications are provided without any extra charge.